All you need to know about the Australian Round! 1. 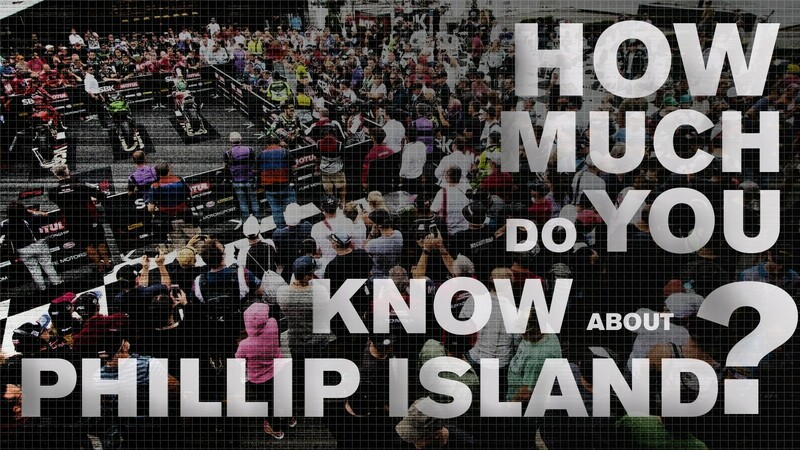 For the eleventh year in a row, Phillip Island will be the opening round of the season. The Australian race track is where the most season openers in the Championship history have taken place so far, followed by Donington, Valencia, and Losail, at four each. 2. Phillip Island is the circuit with most WorldSBK races run: 55. The first appearance of the Australian race track in the calendar was back in 1990. 3. In the history of the Championship, in 17 seasons out of 31, the winner of the opening race has gone on to win the title at the end of the year. That was not the case for Marco Melandri last year. The Italian took his only two wins of the season in Australia and finished 5th in the standings. 4. Rea starts his 2019 campaign after having led the championship 100 times in total. Now he is on a streak of 20, began in Buriram 2018. 5. Last year Marco Melandri broke a string of 6 consecutive British wins at Phillip Island. The same record for a country goes to Australia with a string of 6 consecutive wins from 2004 Race 2 to 2007 Race 1. 6. Tom Sykes will start his 260th WorldSBK race at Phillip Island when the lights will go off on Saturday 23rd February. 7. Jonathan Rea is on a winning streak of 11 straight races, a record sequence. None of these wins came with the advantage of a pole position start. 8. The fastest ever top speed recorded at Phillip Island is 324.6 kph, set by Max Biaggi on board his Aprilia in 2012. 9. In all the 31 seasons run so far, the eventual champion always finished the opening race in the first five places, with Tom Sykes and Jonathan Rea being the only champions to start their winning campaigns with a fifth, in 2013 and last year. 10. Australian riders have won their home race here 23 times out of 55, the last one in 2008 with a double win for Troy Bayliss. Since then, riders from seven different countries have won at Phillip Island. Keep up with all the racing action from the Yamaha Finance Australian Round, all with the WorldSBK VideoPass.